After months of house hunting, you’ve found your ideal home or investment property. When auction day is approaching, it’s time to get serious about preparing to bid. The contract of sale contains all the legal information about the property, such as the title, boundary measurements and recent building works. You’ll also find information about rates, local government building restrictions and easements (if any). A copy of the contract is usually available at open for inspections and you can request a copy from the real estate agent. Read it thoroughly before auction day. It’s also a good idea to get your conveyancer or lawyer to check it. Your mortgage broker is an excellent source of information and assistance in the lead-up to an auction, even beyond financial preparation. Contact Gail or Terry today to get things moving. 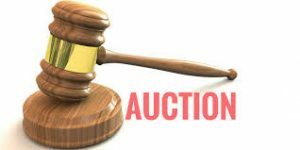 See next week’s post: Six Winning Strategies for Auctions.